Hyprotherm Furnace is a privately held company and the original company was established in 1972. A Heating and Air Company preceded it and dates back to 1950. Billy and his Dad, Gerald, were in the heating and air business for decades. 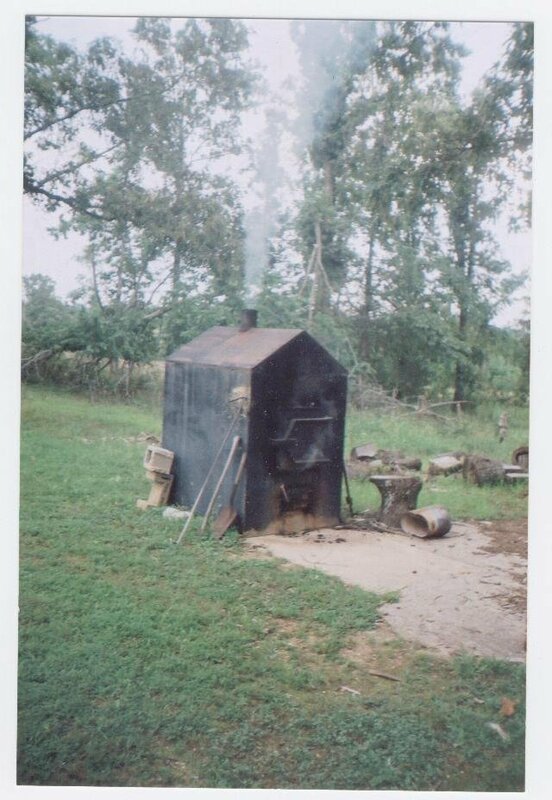 They began to develop their first wood boiler prototype for their own home, in the 60's. The model above predates the metal from steel buildings! Gerald knew there had to be a better way, than to pay for oil, even though it seemed cheap back then. In reality, it was $2.77 in 1949; an INFLATION ADJUSTED PRICE​ of $28.48! His main concern however, was to get rid of the smoke and ashes in the house. It was obvious it could cause serious health problems. Besides the soot all over the place, it was a chore to clean up. 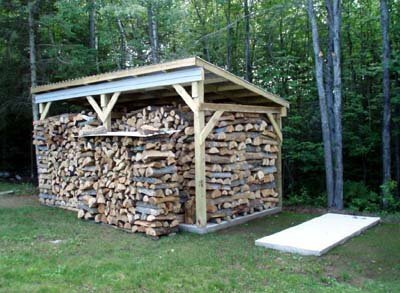 Having the wood outside already, made the plan simple; put the wood stove outside, next to the wood pile! 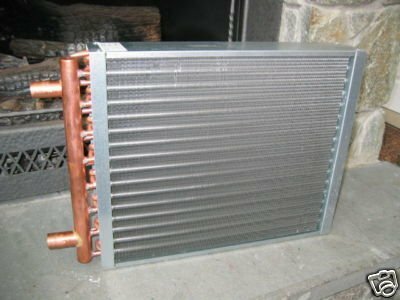 Install something like a heater core from a car, in the plenum and it would radiate heat all through the house - and the hot water could be pumped from the outside to heat the home and the domestic hot water! He developed a model for himself and continued to improve on it over the years. In 1972 he decided to start selling the furnaces and an industry was born! Gerald was indeed THE FIRST and is proud to have started a new industry. 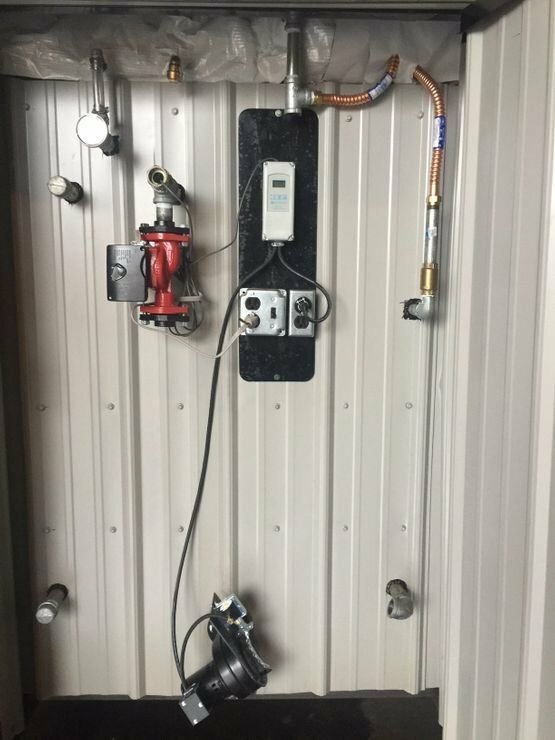 THERE is a NEW MODEL that comes pre-wired and has a Ranco Thermostat, plus a water level sight "glass". It has a 25% BIGGER FIREBOX and an ASH TRAY. The previous revision was made in 1990 to give it more water capacity (more stored BTU to heat your home all night long, even with no fire) and to improve water circulation. 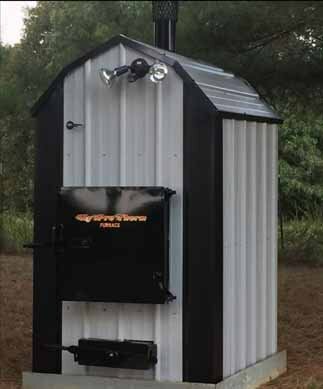 The basic design and efficiency features of the furnace remains essentially unchanged today. Now Gerald's son Billy, heads up the business. We have been in business for 44 years, in the same location. We are a family run business. We have sold THOUSANDS of furnaces across the country, and into Canada and Alaska and into the UK, Italy, Spain and Romania, just to mention a few. 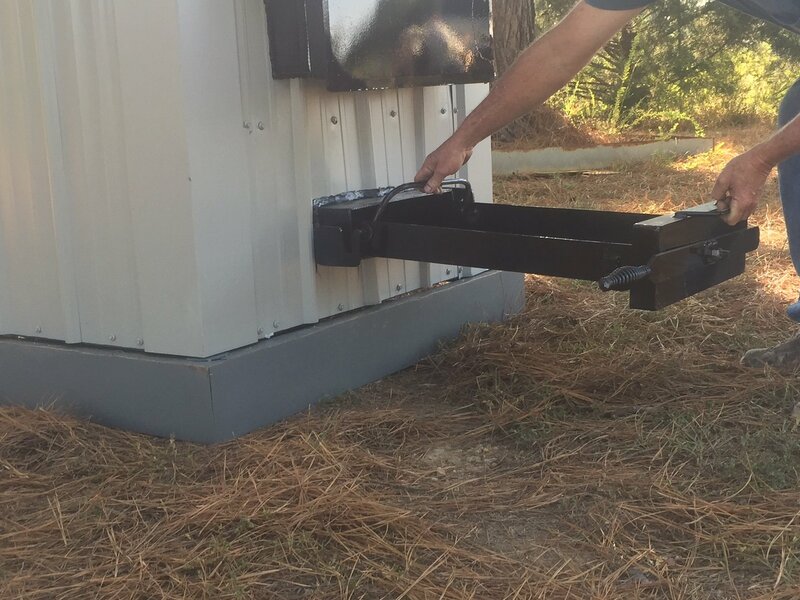 We are a brick and mortar manufacturing business in Salem, Arkansas - and WE BACK YOU and are here to stay.